Below you can view all the homes for sale in the Manget subdivision located in Marietta Georgia. Listings in Manget are updated daily from data we receive from the Atlanta multiple listing service. To learn more about any of these homes or to receive custom notifications when a new property is listed for sale in Manget, give us a call at 404-998-4102. Unfinished Basement For 4Th Bedroom/Office Or Flex Room And Stubbed Bath. Home Is Elevator Ready! MLS#6531853. 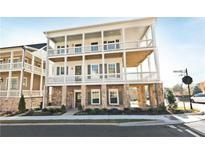 Brock Built Properties, Inc..
Socialize With Neighbors At One Of The 3 Beautiful Park Areas. MLS#6527925. Harry Norman Realtors. This Home Is In A Great Location, And Has Already Been Upgraded For You. MLS#6527785. Realty One Group Edge. 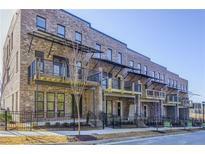 No Detail Spared With This Stunning Townhome Walking Distance To Everything The Marietta Square Has To Offer! Photos Are Representative MLS#6525519. Brock Built Properties, Inc..
No Detail Spared With This Stunning Townhome Walking Distance To Everything The Marietta Square Has To Offer! Photos Are Representative MLS#8550883. Brock Built Properties, Inc..
Come By Today To See Everything Manget Has To Offer, Including The New City Park, Kirby Park That Just Opened Adjacent To Manget. MLS#6514311. Brock Built Properties, Inc..
Home Has Massive Unfinished Walk Out Daylight Basement MLS#6514301. Brock Built Properties, Inc.. Massive Walk Out Daylight Unfinished Basement Is Stubbed For Bath And Could Easily Have A Bedroom And Bath With A Bonus Room. Just Minutes To The Square! MLS#6514309. Brock Built Properties, Inc..
Come See Everything Manget Has To Offer Today! MLS#6514304. Brock Built Properties, Inc.. Enjoy Outdoor Living At It'S Finest With This Screened In Lanai Overlooking Your Backyard Steps To The Marietta Square. MLS#6514306. Brock Built Properties, Inc..
Come See All Manget Has To Offer! MLS#6514298. Brock Built Properties, Inc.. The First Floor Opens Out Onto A Lovely Courtyard Garden. Photos Are Representative. MLS#8536990. Brock Built Properties, Inc.. The First Floor Opens Out Onto A Lovely Courtyard Garden. Photos Are Representative. MLS#6514308. Brock Built Properties, Inc..
Front Patio Featuring A Landscaped Mews With Stunning Views And A Firepit To Enjoy! Photos Are Representative. MLS#6514297. Brock Built Properties, Inc..
Front Patio Featuring A Landscaped Mews With Stunning Views And A Firepit To Enjoy! Photos Are Representative. MLS#8536975. Brock Built Properties, Inc.. Covered Front Porch Overlks Kirby Park. Fenced-In Side Courtyard! MLS#6504416. Know Atlanta Real Estate Services, Llc..
"Affordable Loan Program" Area - 100% Down, No Pmi, Please Inquire MLS#6504144. Re/Max Unlimited.